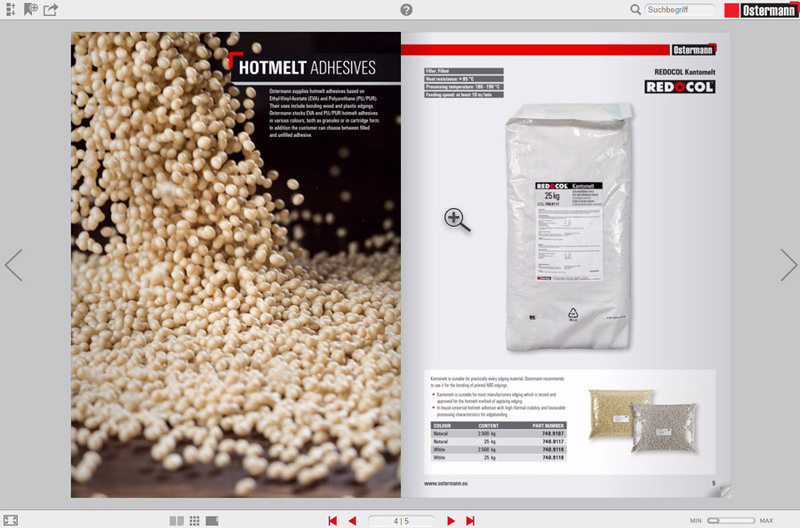 At Ostermann you will find all Brochures and catalogues online. The Download centre provides the perfect platform. Select the icons in the image to learn more. The individual pages of the document can be saved or printed. The catalogue is searchable. Simply enter product name or part number! Click to scroll to the next page. Click on the item number and you will be taken to the page in the shop. The mouse pointer becomes a magnifying glass and the view can be magnified. Enter the page number and you will jump directly to the desired double page.